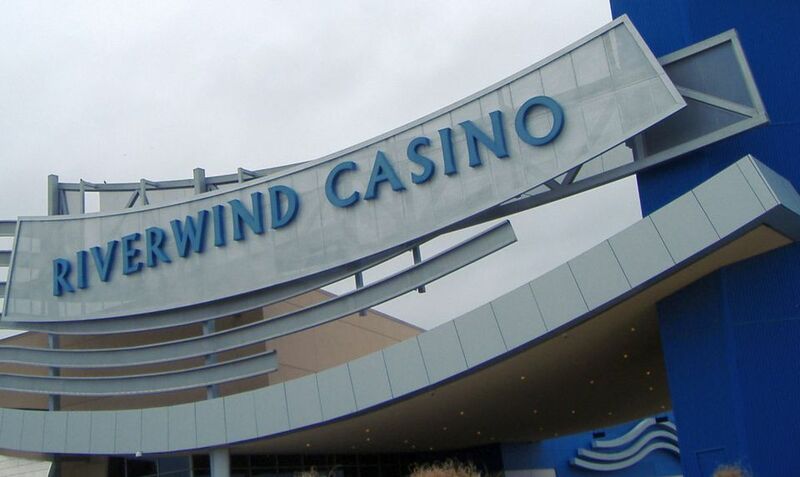 One of the newer gaming establishments in the state, the Riverwind Casino opened just outside of Norman in the summer of 2006. It is currently the second largest casino in Oklahoma at 219,000 square feet and is operated by the Chickasaw Nation. Featured at Riverwind are two restaurants, a lounge, a food court, several bars, a number of gaming options and a 1500-seat theatre with regular live musical performances from well-known performers. Though smoking is allowed throughout the casino, there is a fairly effective ventilation system to help the non-smokers a bit. Riverwind also opened a 100-room adjoining hotel in February of 2009. See below for details. According to Riverwind, the casino houses over 2,700 electronic games/slot machines, 45 blackjack tables and 23 poker tables with both Texas Hold'Em and Omaha games. In addition, there are frequent poker tournaments throughout the week. "Players Club" members can earn points toward free games as well as participate in members-only or high-limit games. River Lounge - Located near the northeast entrance, the River Lounge seats 77 and features regular live musical performances as well as a full service bar. Showplace Theatre - The much larger Showplace Theatre seats 1500. One of the best spots for live music in OKC the venue has well-known performers several times throughout the month. Willows Buffet - There is buffet dining for lunch and dinner throughout the week, and breakfast buffets are available on the weekend. Riverwind Casino hosts unique events regularly throughout the year, including many holidays. From a St. Patrick's Day celebration or Mardi Gras party to events such as the "Honky Tonk Tailgate Party," each frequently contains prize drawings or special games. Opened in February of 2009, the 100-room boutique hotel at Riverwind is adjoined to the casino by a Sky Bridge. Guest rooms have a contemporary design and include free wireless internet service and large flat screen TVs. In addition, full service in-room dining is available, and the hotel offers four meeting rooms available for rent and can be used for banquets, meetings, or parties. Catering is available as well. For information, call (877) 787-9637 or book online.